We are confident you will find that our Intimidator lineup is able to withstand the most rugged terrain in the harshest of elements with ease, and without leaving a dent in your wallet. Our products are made in Arkansas with American steel, and we're pretty darn proud of that! When you hear the name Intimidator, we want you to think tough, comfortable, affordable. We want you to be proud that you are purchasing American made. We want you to know that you become part of our Intimidator family, and take pride in the fact that you are Intimidator. 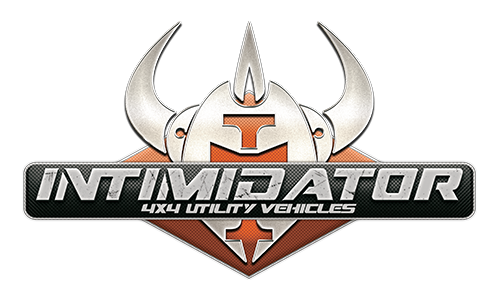 Visit the website and come see your Intimidator Dealer!